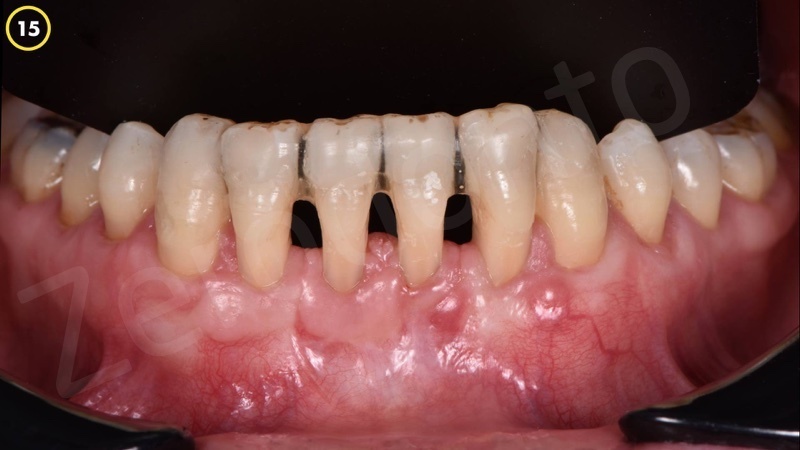 Acellular Dermal Matrix, Connective Tissue Graft and Enamel Matrix Derivate in the treatment of multiple gingival recessions. 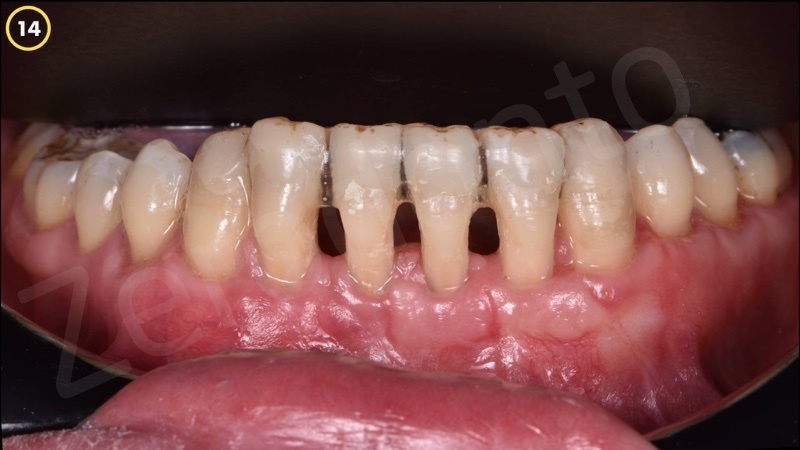 A-45 year old male patient referred to our clinic with complaints of gingival recession in lower mandible. 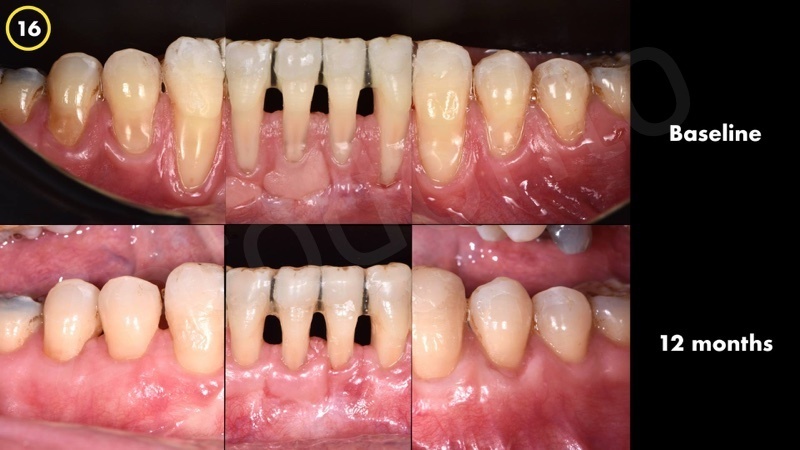 The patient was systemically healthy and non-smoker with a history of free gingival graft surgery undertaken 5 years ago. 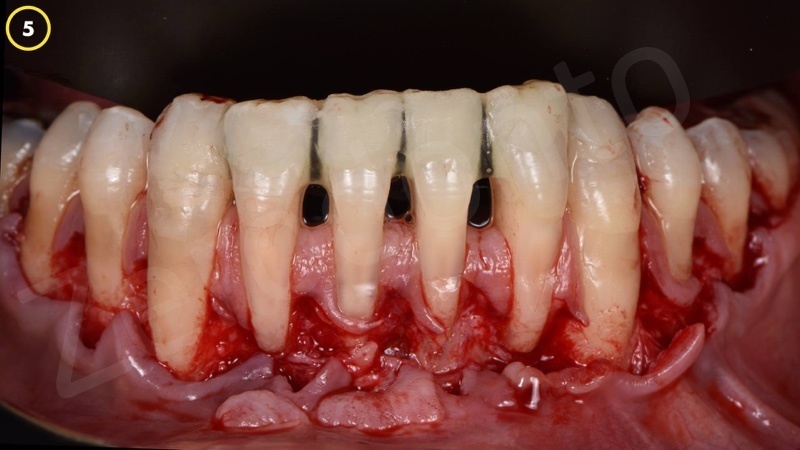 The full-mouth plaque and bleeding scores were 5%. 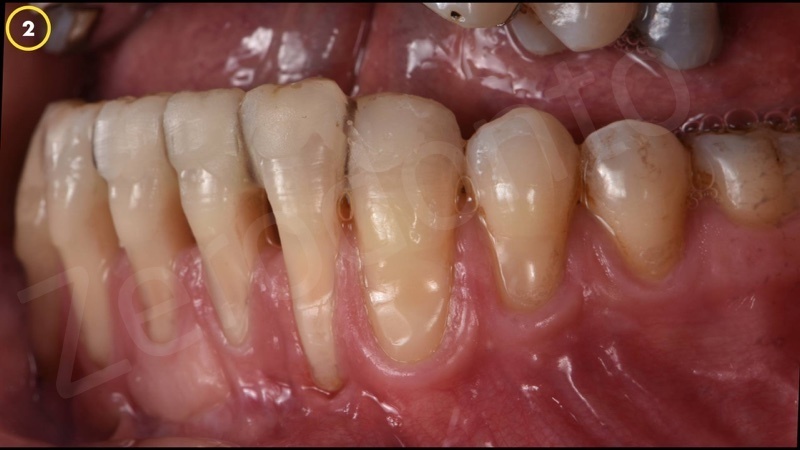 Especially in anterior region teeth had abrassion defects due to the previous agressive tooth brushing behaviour. 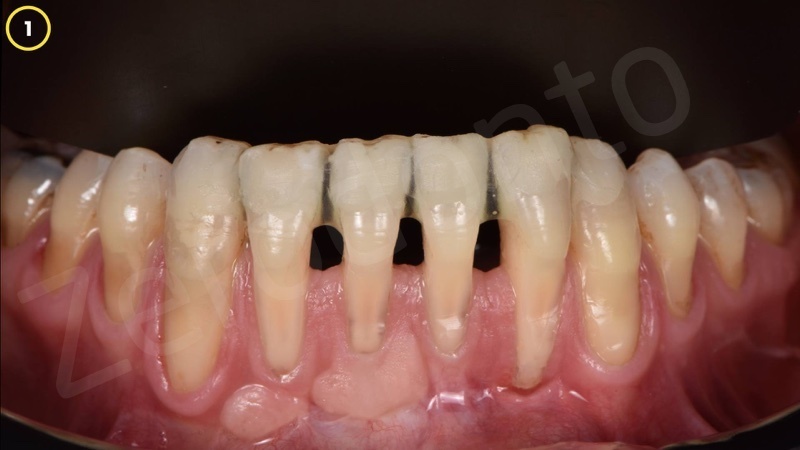 A periodontal splint was applied to prevent discomfort during function. 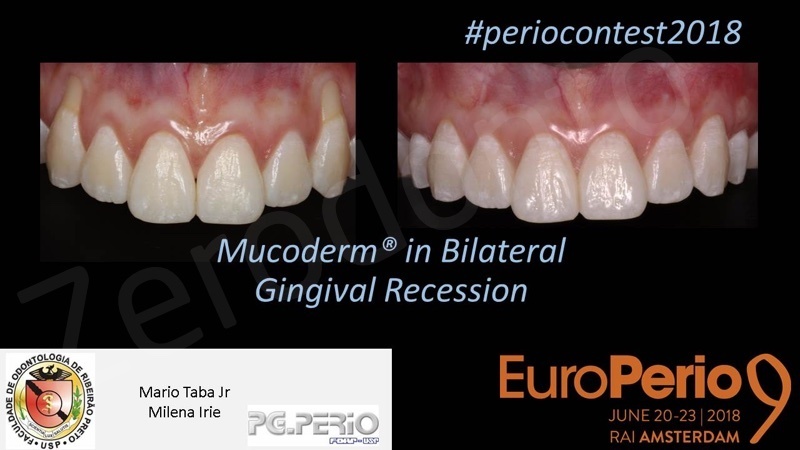 The treatment plan included preparation of a modified coronal positioned flap, application of Enamel Matrix Derivate (Emdogain,Straumann), placement a connective tissue graft on the left site and Acellular Dermal Matrix (Mucoderm, Botiss) on the right site . 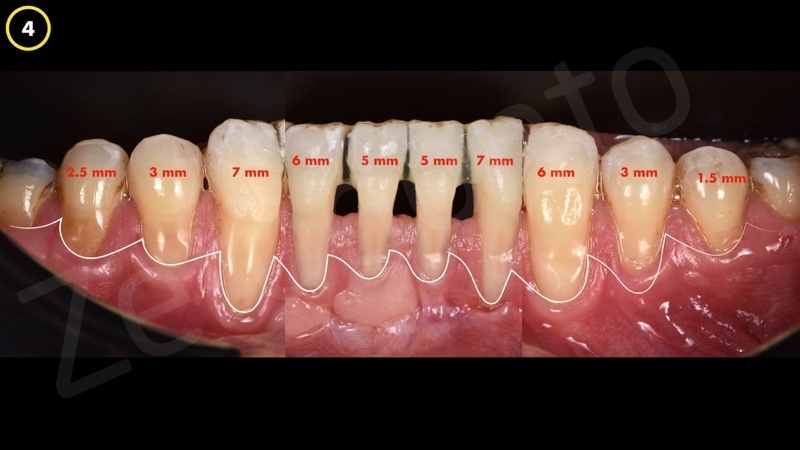 The incissions were planed to be performed as described by Zucchelli & de Santics 2000. 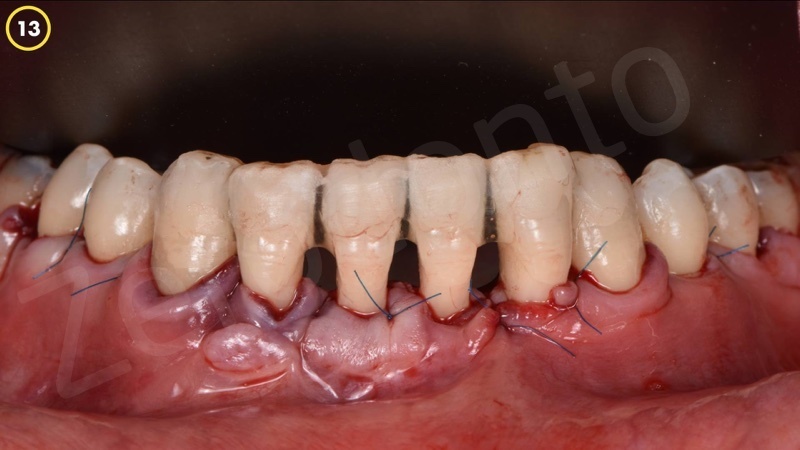 A partially thickness flap was first prepared, continued with a full thickness flap and finalized with a superficial flap preparation. The muscle attachments were visualised. And than muscle bundels interfering with the flap were excised gently. 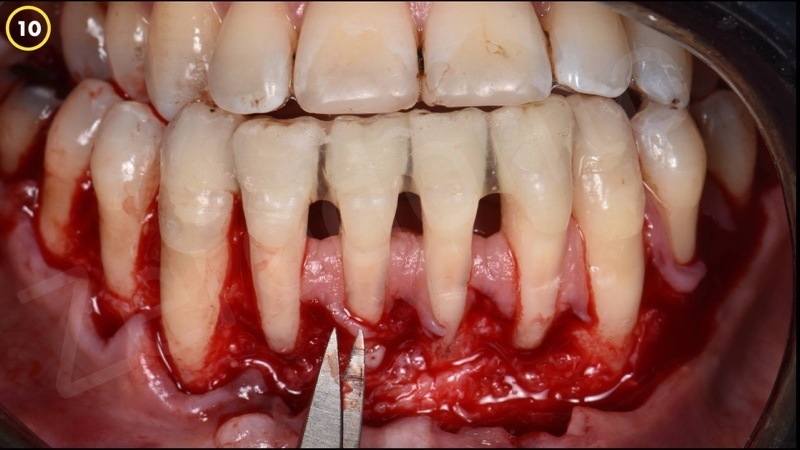 The exposed root surfaces were planned leaving the dentogingival attacment close to alveoler bone untouched. 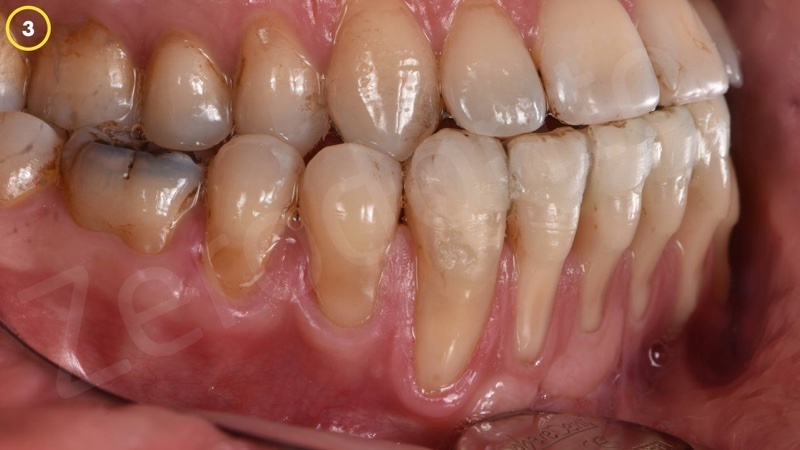 The root surfaces were modified using prefgel and then Emdogain was applied as instructed by the manufacturer. 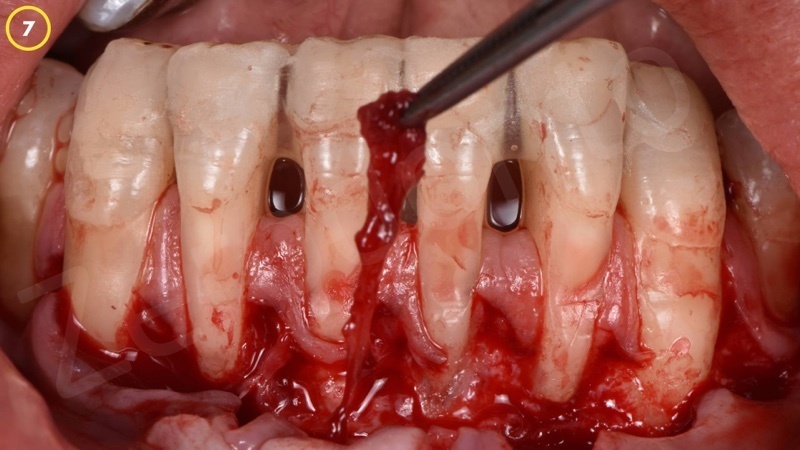 The appearance of the connective tissue graft obtained from tha palat using trap-door technique and the AMD matrix after 15 min rehidration. 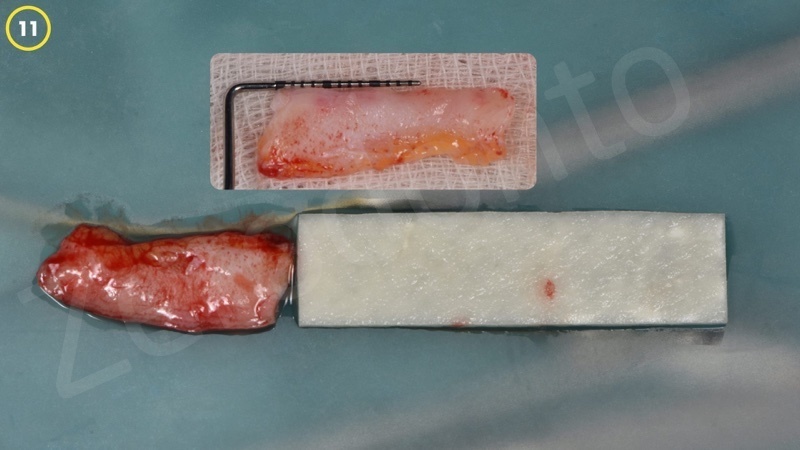 Both the graft and the ADM were stabilized in the recipient area. 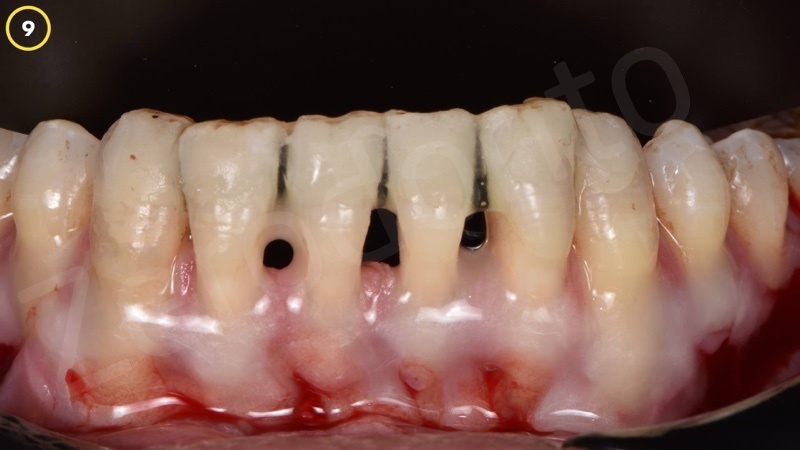 And covered with a modified coronally AF using 6.0 sutures. 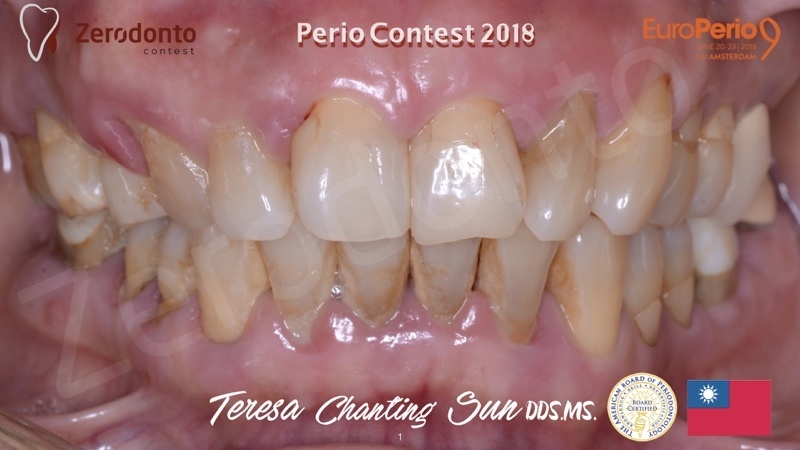 The appearance at 2nd month after surgery. 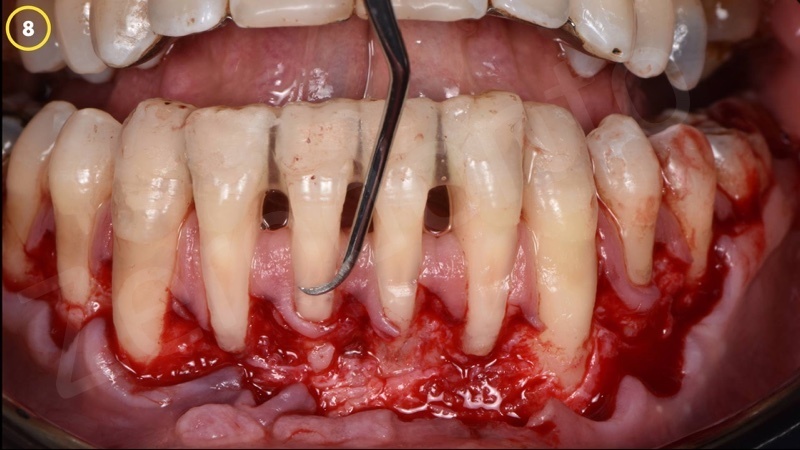 The postoperative healing was uneventfull with no sign of complications. 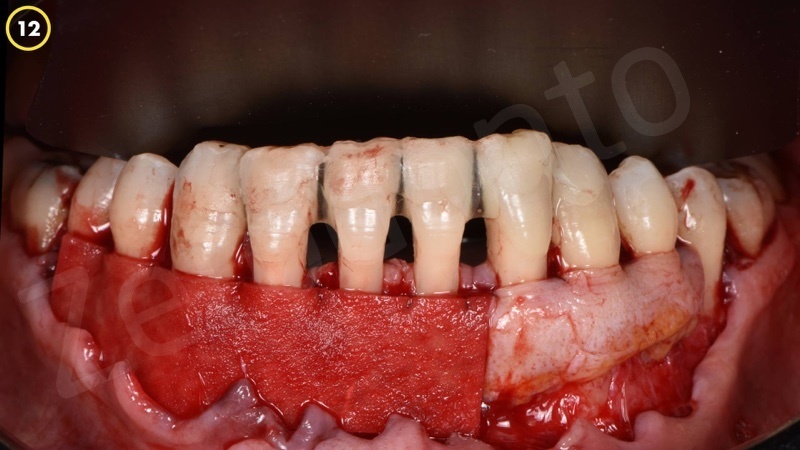 The appearance at 1st year after surgery. Baseline and 12months follow up resulted in similar outcomes both on CTG and AMD applied sites. 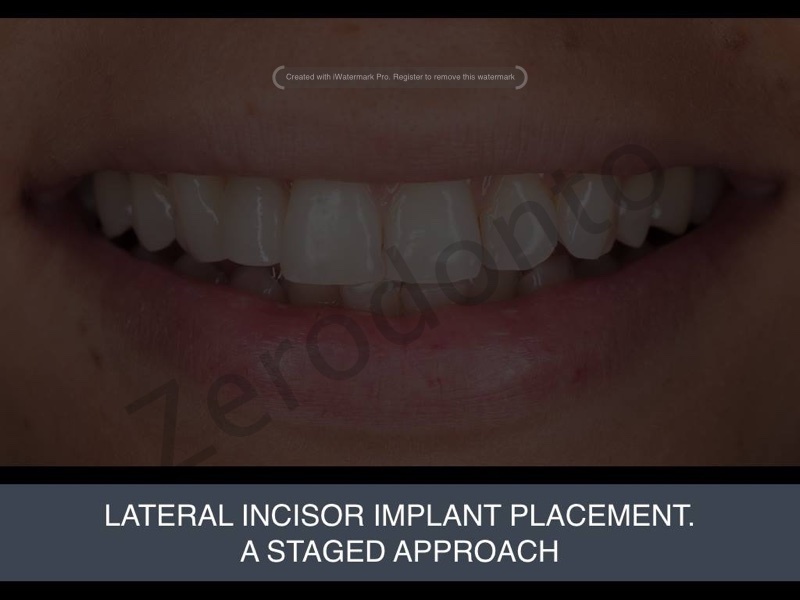 The outcome was satisfactory both for the surgeon and the patient.